Editor Craig McKay, A.C.E. talks about working with and learning from Dede Allen as they worked on "Reds." This video was produced by Manhattan Edit Workshop and edited by Dan Jamieson. Editor Craig McKay, A.C.E. talks about the process of parallel cutting as seen in "The Silence of the Lambs." This video was produced by Manhattan Edit Workshop and edited by Dan Jamieson. Craig McKay, A.C.E. 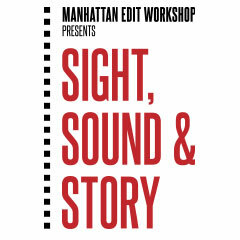 Discusses the Editing of "The Silence of the Lambs" Part I from Manhattan Edit Workshop on Vimeo. Editor Craig McKay, A.C.E. discusses the advantages of re-ordering a scene using an example from "The Silence of the Lambs." This video was produced by Manhattan Edit Workshop and edited by Dan Jamieson. The Padcaster at Photo Plus 2012 NYC - Tamron from Manhattan Edit Workshop on Vimeo. EditFest NY 2009 - Tom Haneke Discusses a Scene from the Film "My Generation"
EditFest NY 2009 - Tom Haneke Discusses a Scene from the Film "My Generation" from Manhattan Edit Workshop on Vimeo. Editor Tom Haneke discusses the importance of cataloging using examples from "My Generation." For more information on Editfest NY please go to editfestny.com. This video was produced by Manhattan Edit Workshop and edited by Dan Jamieson. EditFest NY 2009 - Sam Pollard Discusses a Scene from the Film "4 Little Girls"
EditFest NY 2009 - Sam Pollard Discusses a Scene from the Film "4 Little Girls" from Manhattan Edit Workshop on Vimeo. Editor Sam Pollard discusses sound design using as seen in "4 Little Girls." For more information on Editfest NY please go to editfestny.com. This video was produced by Manhattan Edit Workshop and edited by Dan Jamieson. The Padcaster at Photo Plus 2012 NYC - Manfrotto from Manhattan Edit Workshop on Vimeo. The Padcaster at Photo Plus 2012 NYC - Carl Zeiss from Manhattan Edit Workshop on Vimeo. EditFest NY 2009 - Larry Silk, A.C.E. Discusses a Scene from the Film "Wild Man Blues". EditFest NY 2009 - Larry Silk, A.C.E. Discusses a Scene from the Film "Wild Man Blues". from Manhattan Edit Workshop on Vimeo. Editor Larry Silk, A.C.E. discusses the challenge of finding the right music using examples from "Wild Man Blues." For more information on Editfest NY please go to editfestny.com. This video was produced by Manhattan Edit Workshop and edited by Dan Jamieson. The Padcaster at Photo Plus 2012 - Jack Howard, New Media Specialist, Sigma from Manhattan Edit Workshop on Vimeo. EditFest NY 2009 - Robert Eisenhardt, A.C.E. Discusse a Scene from the Film "Valentino: The Last Emperor"
EditFest NY 2009 - Robert Eisenhardt, A.C.E. Discusse a Scene from the Film "Valentino: The Last Emperor" from Manhattan Edit Workshop on Vimeo. Editor Robert Eisenhardt, A.C.E. discusses the importance of choosing the correct tone as seen in "Valentino: The Last Emperor." For more information on Editfest NY please go to editfestny.com. This video was produced by Manhattan Edit Workshop and edited by Dan Jamieson. 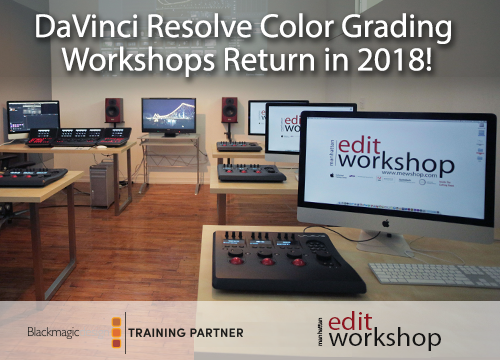 Photo Plus 2012 NYC - Sony from Manhattan Edit Workshop on Vimeo.